Just one day after we wrote about the Chromebook Pixel touchscreen rumour, Google decide its time to unveil the beast. The Chromebook Pixel is Google’s attempt to change the Chromebook experience, with better performance, display and a new price range. 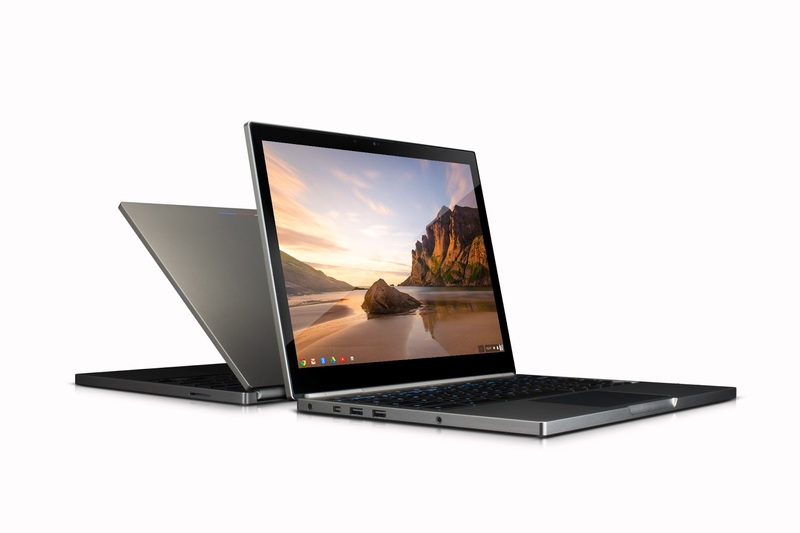 Taking huge leap in resolution, compared to what other Chromebook manufacturers have delivered, the Chromebook Pixel delivers 2560 x 1700, the resolution even steps above the 13″ MacBook Pro with retina display. The Chromebook Pixel is the first to come with a touchscreen too, although it is a solid Chromebook, not a detachable hybrid as we suspected it might be. This may be Google sneaking in their laptop before Apple add their touchscreen MacBooks to the mix. This is a the first beefy Chromebook too, not in size but in components. Inside the Chromebook Pixel is an Intel i5 dual-core processor and Intel HD Graphics 4000, with 4GB of RAM and 32GB of solid state drive. Not only does this point to a beefy Chromebook, it points to a new move with the Chromebook, to actually become the laptop of choice against MacBook and Windows 8 Pro top line laptops. The one thing people have noted with the Chromebook Pixel is it still runs the rather small Chrome OS. Unlike Windows and Mac OS, this operating system doesn’t run apps outside the Chrome Store. This means users cannot download Skype, Adobe CS, League of Legends, and all other apps that come on dedicated websites, unless they have an inbuilt Chrome Store app. Google may push the idea that Chrome OS is a fully fledged operating system and may strike partnerships with Adobe and other application developers, although this seems like a long shot. On the whole Google are trying to reinforce Google services can do everything you need on a computer, so they may not want the Chrome Store to be filled with apps that cannot be run on browser or on low cost Chromebook’s. The Chromebook Pixel is out now on the Google Play Store: $1,299 for the WiFi version and $1,449 for the LTE version. There are data plans and perks for the LTE version, you can check them both out on the Google Play Store. Would you pay that much for a Chromebook, even with the better performance, design and display? Tell us in the comments!